Both gas and water pipes may develop leaks over the years. Structural alterations can also lead to a leak developing in the pipework. This is where the leak flow meter comes into its own. In order to prevent dangerous gas accidents and water damage, both gas and water pipes have to be checked regularly for their functional efficiency and leaktightness. This kind of tightness test requires a highly precise pressure meter which always provides reliable results. You need the appropriate equipment to be able to carry out professional and legally compliant tightness tests on drinking water and waste water pipes, as well as gas pipes. 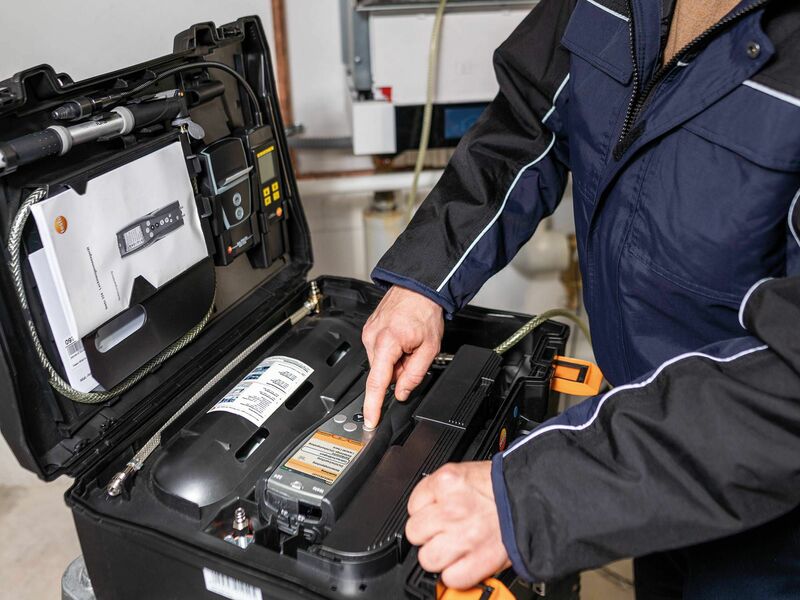 A Testo leak flow meter means you are always on the safe side when it comes to professional tightness tests. 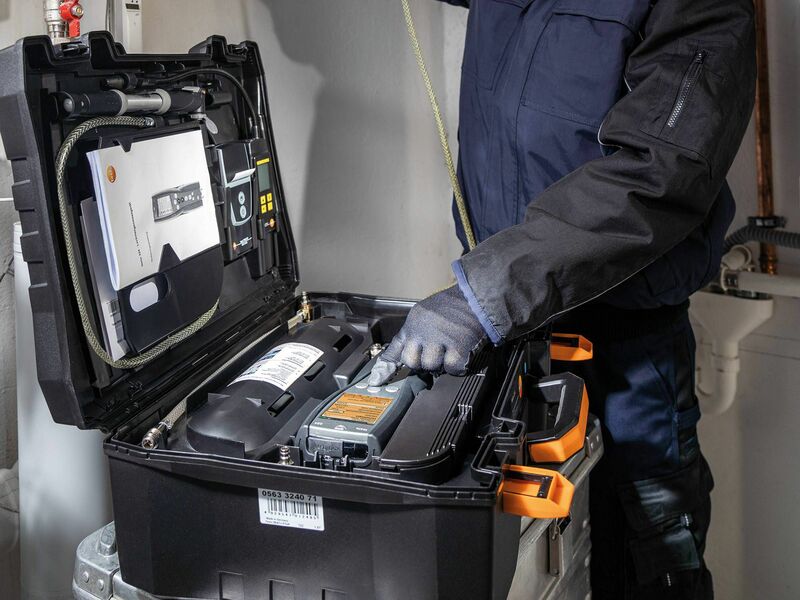 With Testo, you have the possibility of acquiring further important accessories for the measuring instrument itself, such as the instrument case with gas bladder. However, perhaps one of our appropriate gas and water kits is already the right choice for you right at an early stage. With us, you will find optional accessories, such as the fast printer providing immediate printout on site for professional day-to-day practice, as well as appropriate kits. When pipes are getting on in years and there is increased wear over time, the risk of leaks also rises. Leaks of this kind can lead to major losses, such as water damage or life-threatening gas accidents. A leak flow meter is indispensable in terms of preventing consequences of this kind due to dilapidated pipes or pipes damaged by building work. 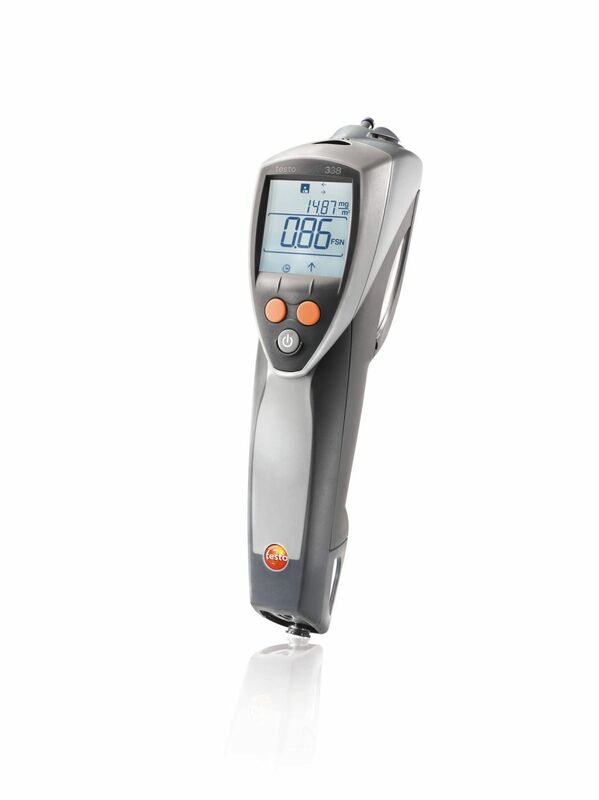 A high-precision measuring instrument from Testo provides you with reliable and very accurate results with extremely easy handling. The step-by-step guide makes legally compliant measurements and checks of the pipes extremely easy. If there is a suspicion of a leak in a gas or water pipe, professional leak detection is indispensable and has to be carried out as quickly as possible to avoid any possible water damage or gas accidents. However, even when there is no leak present, it is vital to effectively prevent a problem of this kind by checking the pipes regularly. In this way, a load test can be performed on every water and gas pipe with the appropriate measuring instrument for leaks in order to check the stability of the pipes and prevent any potential sources of danger at an early stage. For secure filing and administration of customers’ data. For easy synchronization of customer data between instrument and software. For the professional creation and dispatch of pdf reports in order to fulfil the obligation of proof. A leak in a pipe can suddenly develop very quickly, either due to wear after a number of years or to structural alterations. In order to ensure it does not come to that, water and gas pipes need to undergo a regular tightness test. Possible gas accidents and water damage can be effectively prevented by regular, specialist testing, because this means even the smallest leaks can be detected and remedied at an early stage. The leak flow meter is used to carry out this important task. 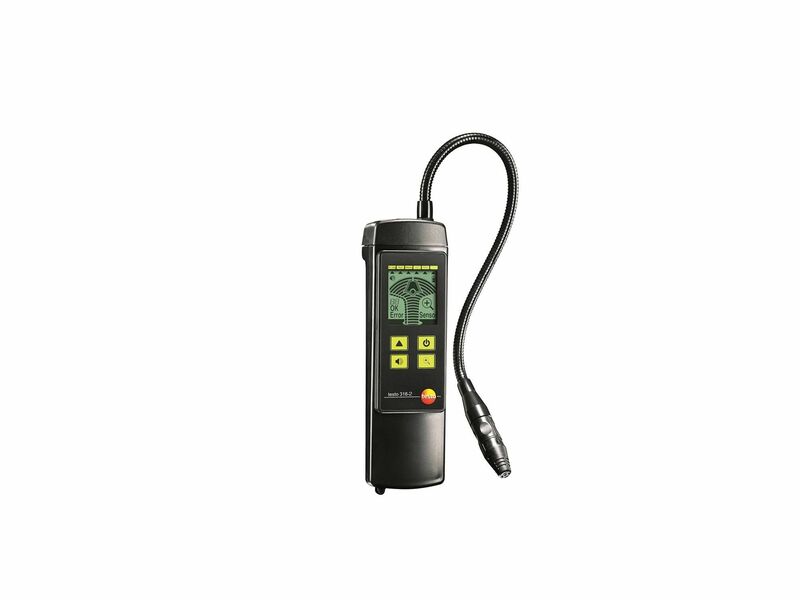 This instrument means you have a professional meter to hand which you can use to carry out professional installation, maintenance and repair tasks on gas and water pipes. 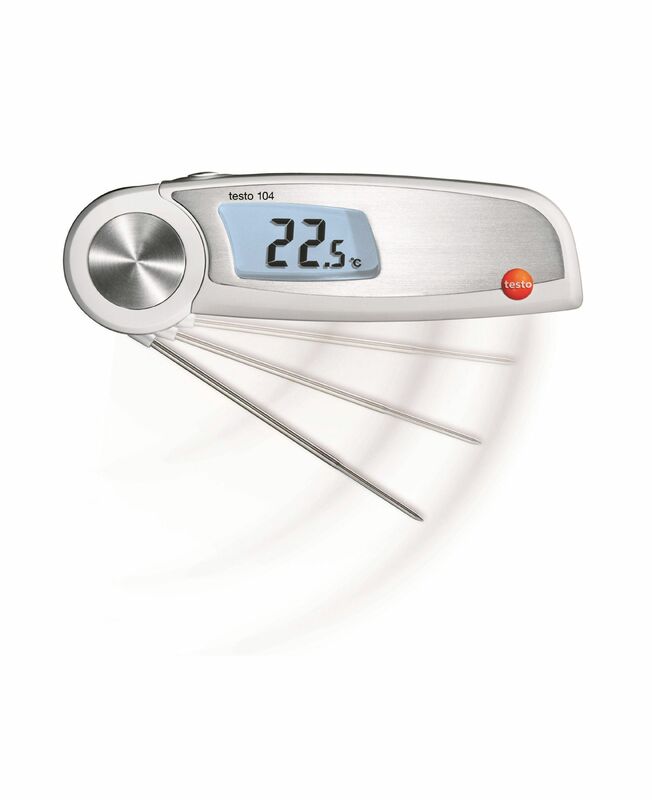 For example, the testo 324 enables you to carry out all the important and legally prescribed measurements in a professional way. 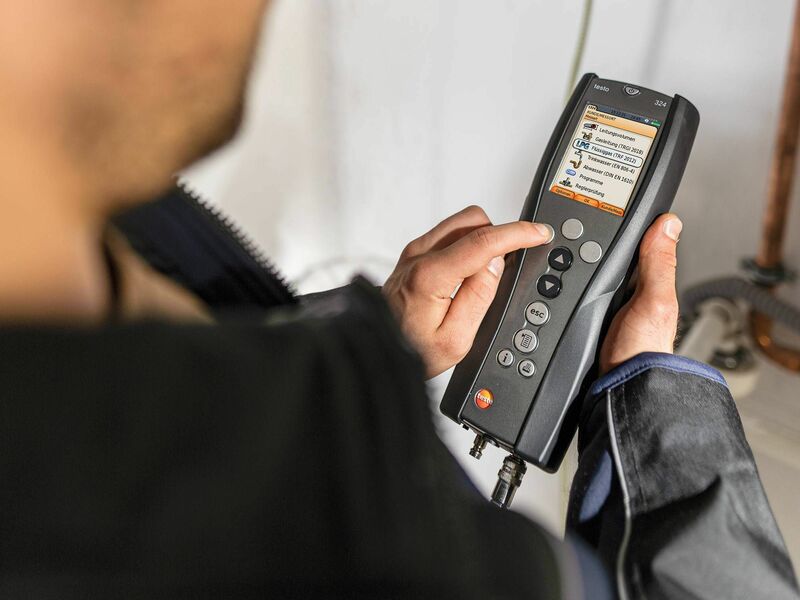 No matter whether it is a load test, temperature measurement, tightness test or serviceability test – with the testo 324 you have a professional instrument for reliable work to hand. Little effort is needed to install the instrument and it is extremely easy to handle thanks to the legally compliant measurement menu. 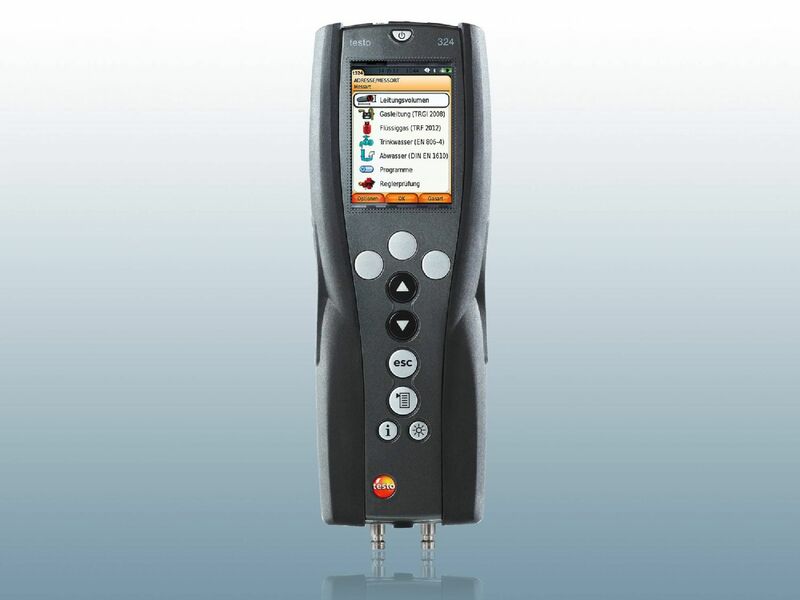 The instrument provides fast and above all high-precision and DVGW-compliant measuring values. Integrated data storage makes it easier for you to work with your customers and is ideally suited for mobile use at a variety of locations. If there is a suspicion of a leak – whether in a gas pipe or in a drinking water or waste water pipe – then it needs to be dealt with quickly. The Testo leak flow meter is used as a professional instrument to reliably identify leaks and quantify the leakage amount. The step-by-step measurement menu makes it really easy to operate. This is particularly important, above all in tricky situations where everything needs to be done very quickly. With the intuitive control panel and reliable measurement results, you are on the safe side and can keep the cool head which is needed, even in the most serious emergencies. For legally compliant work on water and gas pipes, you should trust the professional and have an absolutely reliable tool to hand. A Testo leak flow meter means you already have the most important basis for carrying out the tasks professionally. Integrated data storage plays a very important role when it comes to optimum handling of your customers' data from any location. Depending on the type of instrument, you can get a fast printer for it, so as to enable immediate printout. 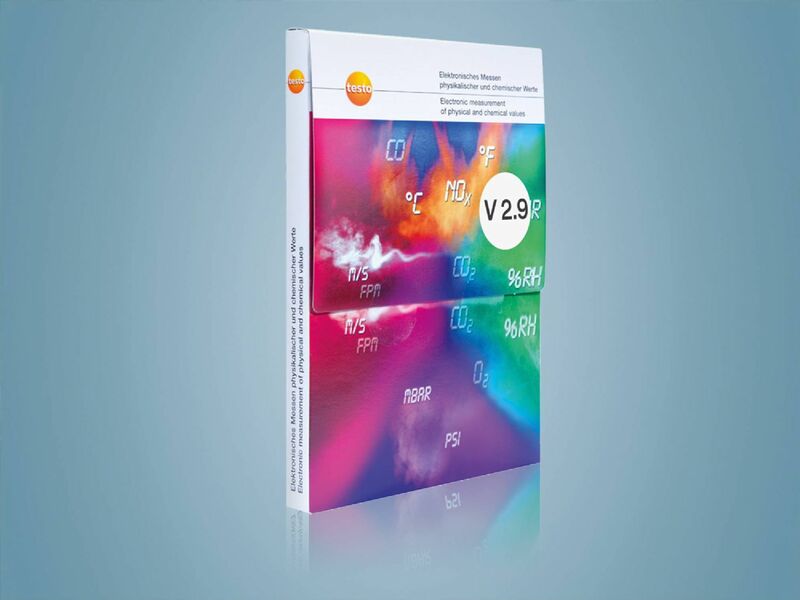 You are also welcome to browse around our range, if you are looking for a pressure measuring instrument, such as a differential pressure gauge or an absolute pressure meter.